Purchased at Pangaea Bottle Shoppe ($7.50/10 oz. 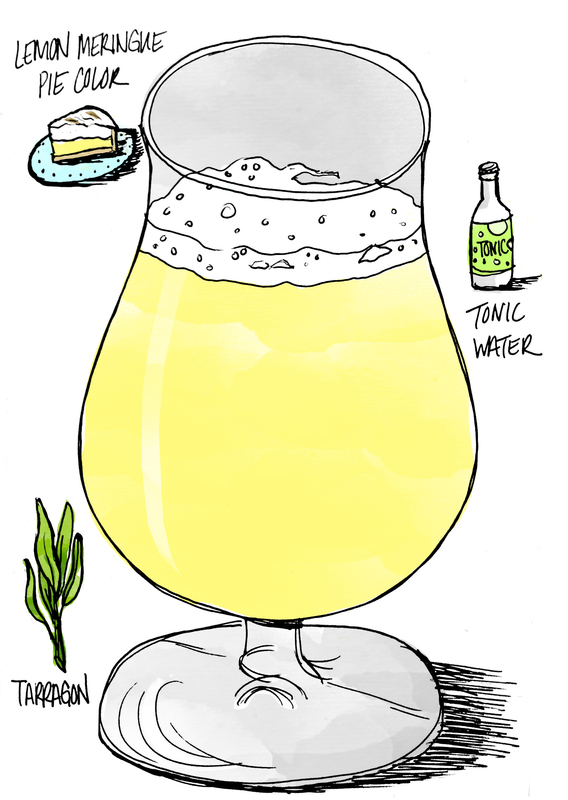 serving) and poured into globe glasses. This super-hopped, 10th-anniversary version of Stone’s popular Ruination Double IPA was intended as a one-off, but has now become part of their seasonal rotation. Ruin-Ten pours a bruised peach with a tight, off-white head and a delicious nose of candied citrus, snowy pine, and butter crackers. I’m not a big fan of the standard, diesel-hop iteration of Ruination, but this version tastes both stronger and cleaner, giving caramel and pine resin nuances to the crushing hoppiness. Alcohol-soaked oranges and a moderated sweetness give way to the expected palate-smashing resin bitterness. Slight hints of fresh peppermint, burnt caramel, and spicy hops come and go on the tongue, but there is a lasting and consistent impression of pine needles. Purchased at Trappist Provisions ($6.50/11.2 oz. bottle) and poured into goblet glasses. This quadrupel from Belgian brewers The Perfect Crime pours a bright copper with a vaporous white head. The nose is similar to booze-soaked fruitcake, with raisins, figs, and hard alcohol most prominent, along with red apples and cooked cherries. Hollow Point is more nuanced on the tongue, offering black walnuts, wood, raisins, and a little caramel, with a prolonged nutty bitterness and a slight alcohol burn coming to dominate the aftertaste. Its body is exceptionally light for the style, and I like the lack of overpowering sweetness here, as Hollow Point emphasizes nuttiness and hoppiness over dark fruit flavors. Purchased at Trappist Provisions in Oakland ($6/16.9 oz. bottle) and poured into weizen glasses. This “Rhineland Weizen” from German brewers Freigeist – a more experimental offshoot of the successful Braustelle brand – pours a murky cantaloupe orange with a sizable eggshell-white head. 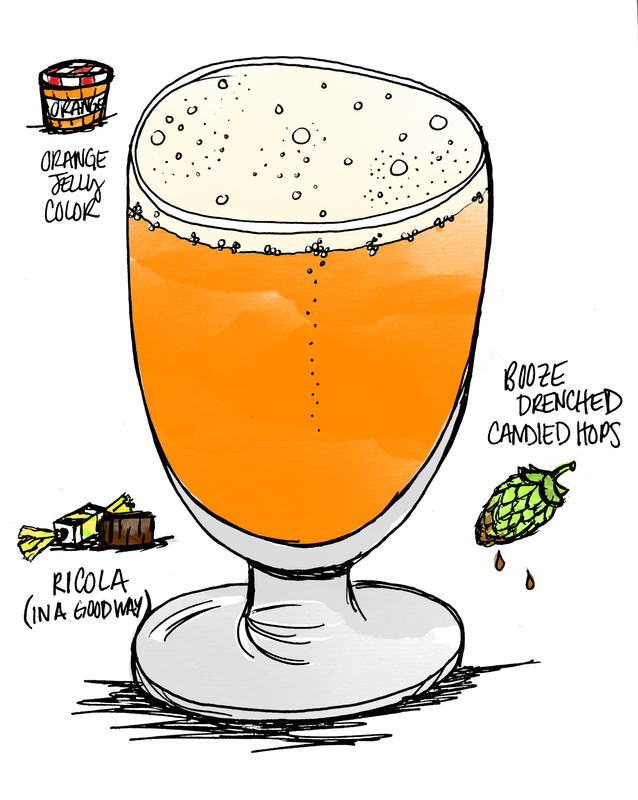 The body is filled with bubble agitation and the free-floating, unfiltered remnants of the brewing process. 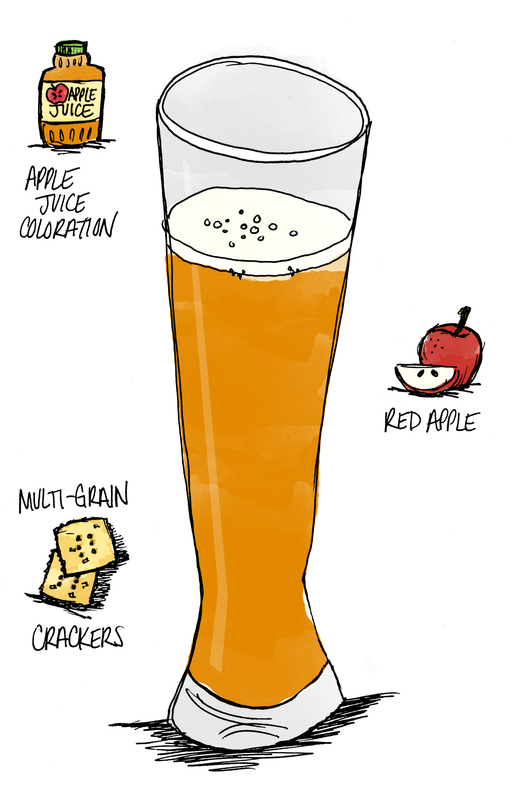 Pimock has a smell that evokes dried apples, caramel, and some grains and hay, and the first swallow indeed emphasizes crisp, red apples instead of the banana and cloves endemic to Bavarian weizen beers. Despite the relatively light body, it’s a lot closer to a German fest beer than any weizen beer I’ve ever sampled, although the presence of crisp wheat and hops on the finish give it body and a welcome brightness. Purchased at Davis Beer Shoppe ($9.99/22 oz. bottle) and poured into globe glasses. This Russian Imperial Stout brewed with rye from Anchorage-based brewers Midnight Sun pours an olive black with a quickly departing caramel-brown head and a body thick as motor oil. 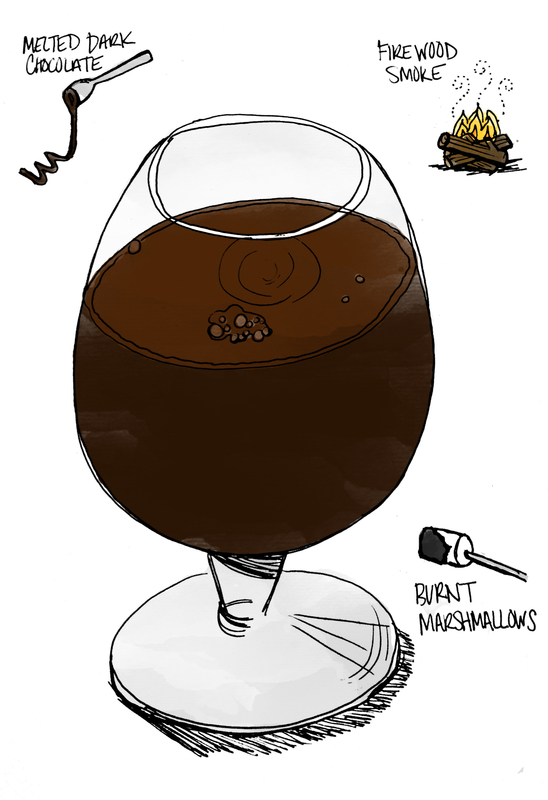 The nose of booze-soaked dark chocolate practically leaps out of the glass, although black licorice, lumber, and molasses aromas are present when you drill down further. 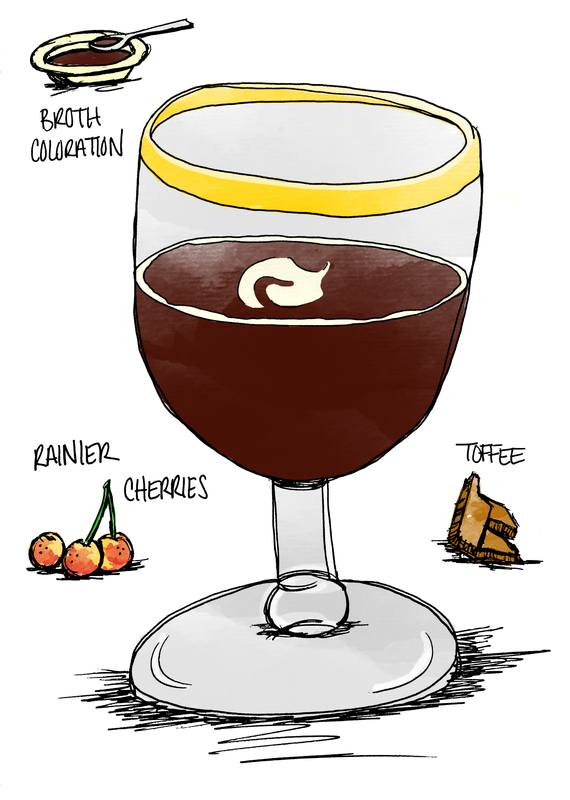 Moscow offers velvety and decadent dark roasted malts on first swallow, with flavors ranging from rich chocolate to boozy barrel wood to fresh-roasted espresso beans. It could have been an overwhelming beer, but it’s all given balance and texture on the aftertaste by the presence of peppery rye grains, and a coffee bitterness that lingers pleasurably on the palette.